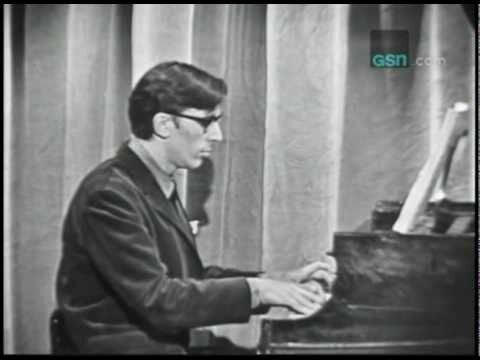 John Cale was the guest on this September 16, 1963 episode of I’ve Got a Secret. His secret centered around his participation in an 18 hour 40 minute piano performance, the first full length presentation of Erik Satie’s “Vexations” held at the Pocket Theater. (Not mentioned, pianists John Cage, David Tudor, Christian Wolff, Philip Corner, Viola Farber, Robert Wood, MacRae Cook, David Del Tredici, James Tenney, Howard Klein (the New York Times reviewer), Joshua Rifkin, with two reserves, and with Cale all took turns playing the piece that is three lines long, the required 840 times on September 9, 1963, from 6 p.m. to 12:40 p.m. the following day. John Cage was the fifth of the many pianists who followed after John Cale who was, of course, the fourth. More importantly, Cage arranged for the entire performance having been introduced to this music while in Paris in 1949. A page of sheet music of the piece was lent to him by Henri Sauguet, and Cage kept a photostat of it with him then, finally performing it 14 years later. I read of this in David Revill’s book “The Roaring Silence.”) Seated also on the I’ve Got a Secret stage was Off Broadway actor, Karl Schenzer, who’s secret was that he was the only person to stay for the entire piano concert.